Blurb Description: Fifteen-year-old Mari Pujols believes that the baby she’s carrying will finally mean she’ll have a family member who will love her deeply and won’t ever leave her—not like her mama, who took off when she was eight; or her papi, who’s in jail; or her abuela, who wants as little to do with her as possible. But when doctors discover a potentially fatal heart defect in the fetus, Mari faces choices she never could have imagined. Surrounded by her loyal girl crew, her off-and-on boyfriend, and a dedicated doctor, Mari navigates a decision that could emotionally cripple the bravest of women. But both Mari and the broken-hearted baby inside her are fighters; and it doesn’t take long to discover that this sick baby has the strength to heal an entire family. Inspired by true events, this gorgeous debut has been called “heartfelt, heartbreaking and—yes!—even a little heart-healing, too” by bestselling YA novelist Carolyn Mackler. I’m sitting here, looking at the blinking cursor, trying to describe exactly how a book as stunning as Water In May made me feel. 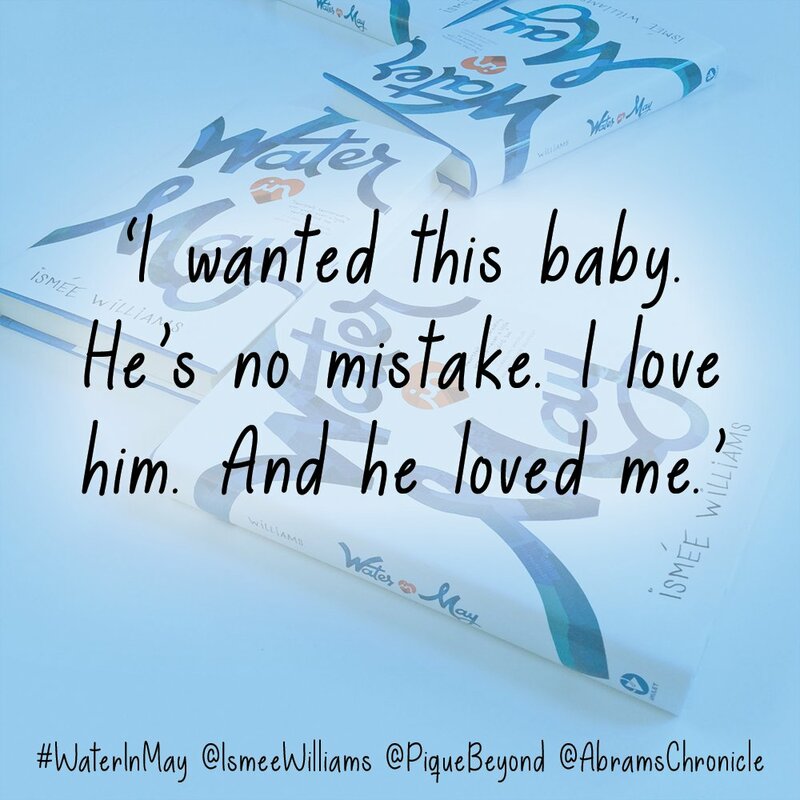 I read it within the span of a day and I found it so hard to put down because Ismee Williams managed to capture EVERYTHING about being a pregnant fifteen year old whose baby has a very serious heart condition and well, IT HAD ME HOOKED. 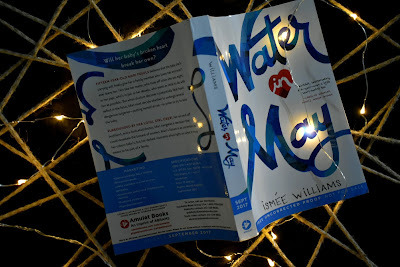 Water In May is one of the best debuts this year, one that will make your heart break and then give you hope. It had a stunning cast of diverse characters, beautifully forged friendships and a kind of coming-of-age story that I’ve never seen before in YA books. 1. The amount of Spanish in this book threw me at first. I’m not saying I didn’t like it – I did. It gave this book substance and background and I LOVED it – but the amount of me flipping back and forth to get a translation for a word being used in the beginning was what threw me. In retrospect, I love that this book had phrases of Spanish in it because it made me get to know Mari and everybody in her life so much better. 2. I LOVED Mari Pujols, and her strength and grit to keep fighting for herself and a baby that everybody else gave up on. I love how she was portrayed as a feisty, unafraid teenager who was willing to do whatever it took to be the best she could be for her baby Angelo and AAH I HAVEN’T SEEN SOMEONE AS BRILLIANTLY UNAPOLOGETIC as her in a long time. 3. I also ADORED the female friendships in this book. I truly believe that female friendships can be strong and supportive instead of catty and backstabbing, and this book just proved it. Heavenly, Mari, Yaz and Teri were the PERFECT girl crew and I just want to jump into the book and hug all of them. 4. The author, Ismee Amiel Williams is a former pediatric cardiologist which made everything medical in this book come from a source that truly knew the ups and downs of what it would be like for a baby with HLHS. It felt so authentic (as authentic as someone whose only medical experience involves watching Grey’s Anatomy can tell) and I absolutely loved that it wasn’t glossed over but the hospital time was one of the most important parts of the book. 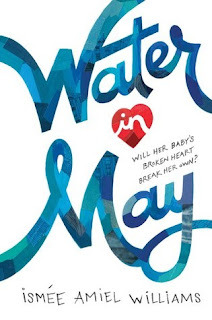 For feisty, unapologetic characters, a teenage mother who will fight against the odds to save her baby and a story that will break your heart in a way that no other young adult book has ever done before, I HIGHLY recommend you dive into Water In May. 4.5 Stars. 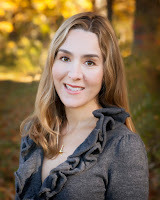 Ismee Amiel Williams is a pediatric cardiologist at Columbia University Medical centre in New York City. As the daughter of a Cuban immigrant, partially raised by her abuelos, her background helped her understand the many Maris she met along the way. Water In May is her first novel. Have you heard about Water In May? What did you think of it? What are some of the best books on Teenage Pregnancy that you've read so far? What was the last book you LOVED? I can't wait to hear from you!